Is your cat a picky eater? Do you sometimes come home at night to a slop of vomit on your floor? Does your otherwise healthy cat have a hard time keeping meals down? If so, your cat might need a food specifically designed for sensitive tummies. Blue Buffalo cat foods feature real meat as the number one ingredient. 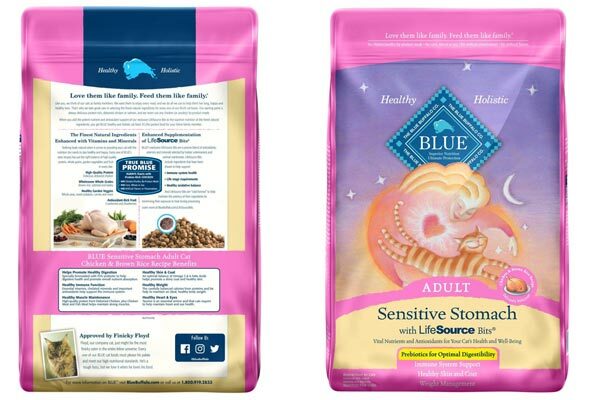 Made with whole grains and fresh vegetables and fruits, Blue Buffalo cat food includes a FOS prebiotic to help support the digestive health of the cat while promoting nutrient absorption. Blue Buffalo cat foods do not contain any animal-based by-products, corn, wheat, soy or artificial flavors and preservatives. These ingredients are processed at low temperatures to help preserve the delicate nutrients can be destroyed by higher processing temperatures. Halo uses only real, whole meat products and non-GMO veggies in the manufacture of its cat foods. No “meat meal” of any kind (e.g. chicken meal, pork meal, fish meal) is added to this all-natural cat food. 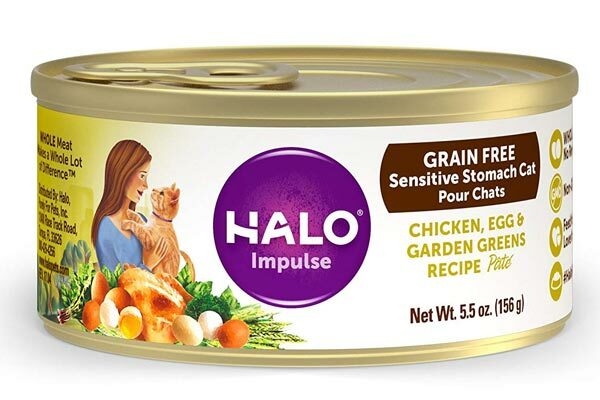 Halo also offers options for kittens who have sensitive stomachs. The meals are all grain-free, making them ideal for cats with allergies. Additional nutrition such as taurine and minerals provide a balanced profile for your cat while at the same time delivering outstanding flavor. The 16-pound bag of dry cat food for cats with sensitive stomachs is the perfect solution for a highly nutritious, well-rounded diet. The lamb-and-rice formula contains real lamb as the first ingredient, making it ideal for the high protein requirements of cats. The addition of Omega-6 fatty acids, vitamin A and zinc all combine to help nourish the skin and protect the coat of your pet. These nutrients also aid in maintaining a healthy stomach lining for cats who tend to suffer from indigestion. 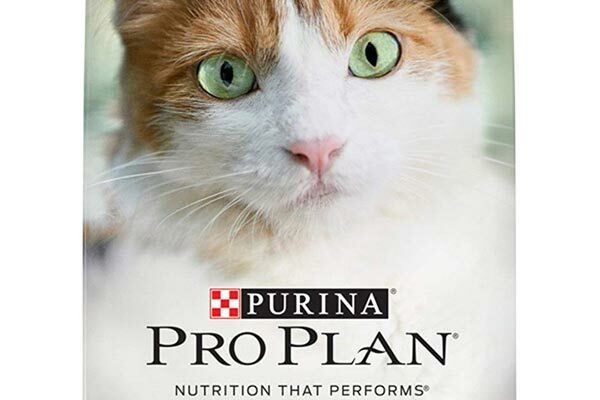 The Purina Pro Plan cat foods are offered in three different varieties: Savor, Focus and True Nature. 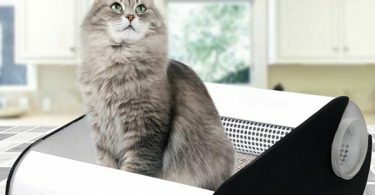 Each formulation is targeted toward a specific need for your cat, giving you the ability to craft a diet that best suits your cat’s unique constitution. 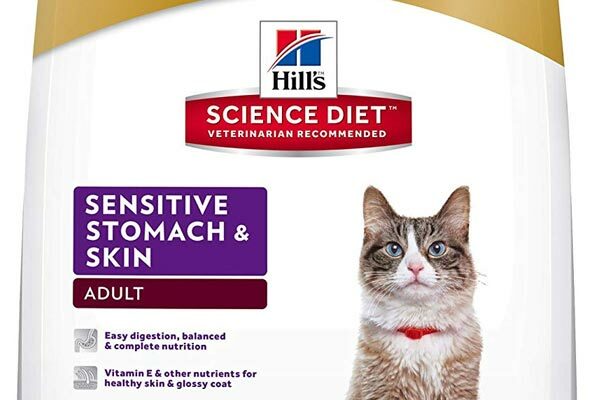 The Hill’s Science formulation contains a unique antioxidant blend containing both vitamin A and vitamin C to help support the immune system of your cat. This dry cat food is designed to be gentle on the system for cats with sensitive stomachs and skin. This cat food is easy to digest and provides a balanced solution for cats who struggle to maintain a healthy coat and skin with the addition of Omega-6 fatty acids and other nutrients. Hill’s Science pet foods are developed with the combined experience of more than 220 vets, scientist, and nutritionists. 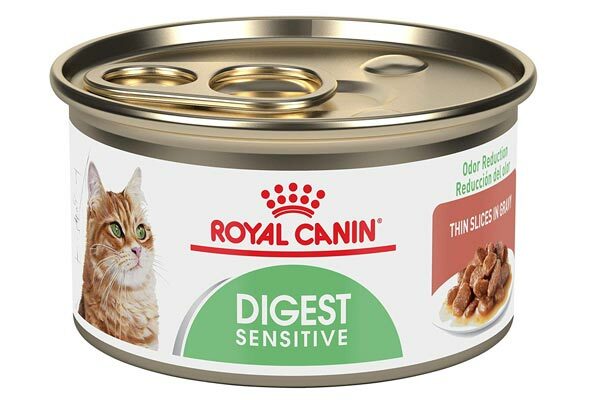 The highly digestible proteins present in Royal Canin’s formulation for cats with sensitive stomachs are uniquely processed to ensure palatability and a complete nutritional profile. This product is especially beneficial for cats who have a strong odor to their stools and can help maintain a healthy weight. The balanced profile of this wet cat food is targeted toward the instinctive preferences of cats to ensure optimal digestion and food interest. My Cat Vomits After Eating. What Does This mean, and What Should I Do? If a healthy cat east too much food or eats too fast, the food could come right back up in short order. If your cat eats very quickly, try feeding it smaller meals more often throughout the day. This will help discourage your cat from gorging itself at meal time. According to Pets WebMD, hairballs can cause vomiting if left untreated. Hairballs form when the cat grooms itself. Tiny hook-like structures on the tongue capture lose or dead hairs, which the cat then swallows. While most of this hair will pass through the digestive tract to be excreted without an issue, some hair may remain in the stomach and eventually develop into a hairball. In most cases, your cat will vomit the hairball naturally to get rid of it. Hairballs are most common in long-haired cat breeds but can occur in short-haired varieties as well. Cats that are compulsive groomers are more likely to develop hairballs than those who are less fastidious. If you notice that your cat did not have hairballs as a kitten but appeared to develop them as it grew older, no worries. Your cat simply became better at the grooming process and is now able to remove more hair that it could when it was still a kitten. You can eliminate the risk of developing hairballs to occur by placing a little dab of petroleum jelly on your cat’s paw. The petroleum jelly will help prevent the formation of hairballs in your cat’s system. Also, daily brushing can help control the development of hairballs in the first place. Products such as Laxatone, plain canned pumpkin (not pie mix), fish oil and a little butter are other methods you can use to avoid the hairball problem. A cat vomiting the occasional hairball is no reason for concern. Vomiting can also be caused by food sensitivities or a delicate digestive system. PetMD says that giving your cat food specifically designed for sensitive tummies can help decrease the likelihood of chronic vomiting. Do cats have sensitive stomachs? Just like people, Hills Pet says that cats can suffer from the occasional upset stomach. In a healthy cat, an occasional upset stomach is no reason for concern, especially if the cat spends a lot of time outside. However, persistent and/or severe digestive issues warrant a call to the vet. 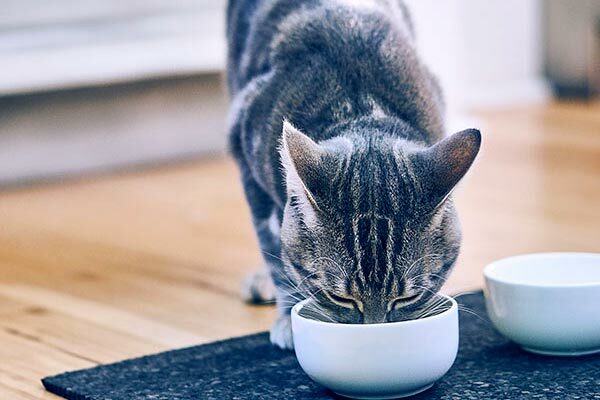 If you think your cat could have a sensitive digestive system, Vet Street recommends a few things you can do to help mitigate their effects on your pet. Try to keep your pet from eating anything that has the potential to be compromised in some way. If your cat is an outdoorsy pet, it is at increased risk of developing internal parasites. A regular parasite treatment plan can help reduce this likelihood. Although cats are known for enjoying dairy products, their bodies often fail to produce the proper enzymes for proper dairy digestion. Eliminate dairy from your cat’s diet to rule out an allergy. Make changes carefully. Any adjustment in your cat’s meal routine can cause an imbalance in its system. If you do choose to switch your cat’s food to a different brand, Catster says to do so slowly by mixing increasingly larger percentages in with the old food until the diet consists of 100 percent new food. Also, The Purrington Post recommends that you be sure that you are feeding your cat a high-quality, highly nutritious diet and not some cheap pet food made with low-quality ingredients. How Will I Know if My Cat Has an Upset Stomach? Symptoms of an upset stomach in cats include vomiting, diarrhea, and loss f appetite. If you notice any of these symptoms, it is safe to assume that the cat has an upset stomach. Just like humans, if a cat has ingested overly rich or fatty foods, it can suffer from indigestion. Unlike humans, though, cat have extremely delicate digestive systems. Following the steps above for a light diet and rest/recovery will help ease the symptoms of indigestion and can get your cat back on its feet in no time. How Long Does it Take for a Cat’s Stomach to Empty? Unlike bovines, which have a complex digestive system, cats have a simple digesting system similar to that of humans. Because of this, a cat’s stomach will empty within two to three hours. If you are required to give your cat a supplement or medication on an empty stomach, wait at least two hours after a meal before administering the dose. There are several things you can do to help treat an upset stomach at home before heading to the vet. You can treat a pet with an upset stomach by the following methods. Also, take a look at this YouTube video for more information on home remedies for cats with sensitive stomachs. Avoid feeding your cat anything or a 24-hour period to allow the stomach to rest and eliminate the cause of the irritation. Be sure to provide plenty of fresh water to prevent dehydration. 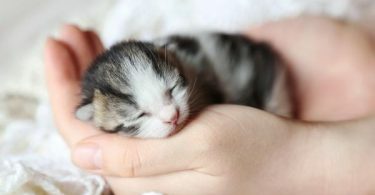 If your cat is still a kitten, do not withhold food for more than four hours or overnight at the very most. Be sure your cat has a warm and quiet place to rest while in recovery. When you break the cat’s fast, feed it plain foods. Avoid the regular diet for at least three days and gradually reintroduce other foods once the cat is no longer vomiting. This step is important. Returning to a normal diet too quickly may re-upset the cat’s stomach. Double check around your home to see if there are any household toxins your pet may have gotten into while you were not around. If you suspect your cat ingested something toxic, contact your vet immediately. The protein and the rice should be served in a 1:4 ratio. Remember that a light diet is not meant to be maintained for a long-term solution. Three or four days is the maximum length you should go before fully reintroducing the cat’s normal diet. If the cat is especially lethargic, try rubbing a little bit of pancake syrup on the gums for quick energy. This is also a good time to check and see if the gums are pale or white. If they are any color other than pink, Pet Helpful recommends contacting the vet.